A judge has ruled that a man at the center of the national immigration debate will stand trial on a murder charge in the shooting death of a young San Francisco woman. SAN FRANCISCO (KGO) -- The undocumented immigrant accused of shooting a San Francisco woman at Pier 14 will stand trial for murder. A jury will decide between second degree murder and manslaughter. Police say Kathryn Steinle was struck by a bullet on July 1 as she was walking with her father along the pier. BREAKING: Judge rules suspect of Pier 14 shooting will stand trial for murder. Attorneys for Juan Francisco Lopez-Sanchez have always maintained the shooting of the 32-year-old was an accident. It has been determined that the bullet ricocheted off the pavement. Lopez-Sanchez maintains he found the gun wrapped in a t-shirt under a bench at Pier 14. "He says it's an accident. He said he did not have the gun prior to picking it up wrapped up and he did not know that it was a gun until it fired and he threw it because he didn't want it to keep firing," said San Francisco Public Defender's Office Chief Attorney Matt Gonzalez. The gun was later found in the San Francisco Bay. Officials say it was stolen from a federal agent's car in San Francisco a few days before the shooting. Prosecutors have never accused the suspect of that theft, but argued that regardless, as a felon, Lopez- Sanchez should not have had a gun in his hand. Judge Brendan Conroy found enough evidence Friday to try Lopez-Sanchez. And now a jury will now decide if it's second degree murder, involuntary manslaughter, or could find him not guilty. "We're very confident that there is sufficient evidence to prove this case and look forward to trial and we look forward ultimately to bring justice for Kate and her family," said District Attorney's Office spokesperson Max Szabo. Lopez-Sanchez had been deported five times to his native Mexico and has seven prior felony convictions. He was released just this year from both a federal prison and San Francisco's county jail. The shooting has triggered a national debate on sanctuary city policies. 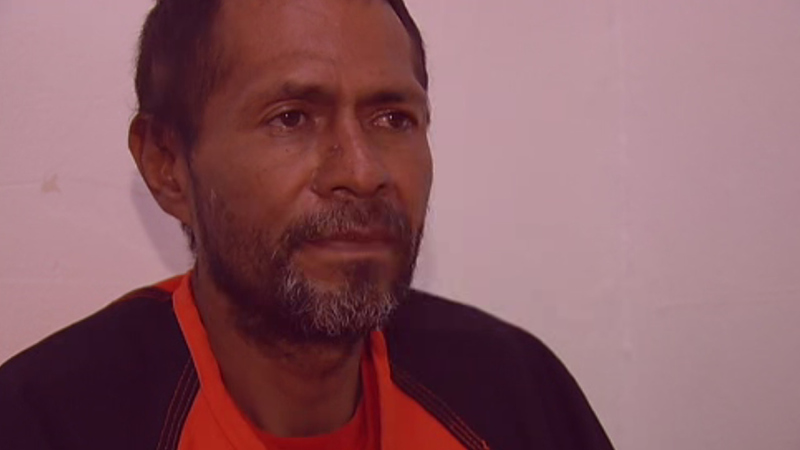 The suspect gave ABC7 News a jailhouse interview that could be used against him in the trial. Four days after Steinle was killed, he sat down with reporter Cornell Barnard at the Hall of Justice in San Francisco. Lopez-Sanchez confessed to shooting Steinle, but said he was shooting at sea lions and had no intention of hurting her. A few days later, he changed his story and said the gun accidentally went off. ABC7 News legal analyst Gil Soffer believes prosecutors will use it against him. "Every word that comes out of your mouth is going to come back to haunt you," he said. "And if you say something once, then say something totally inconsistent the second time, it's devastating to your case." Soffer believes the prosecution has a pretty strong case.